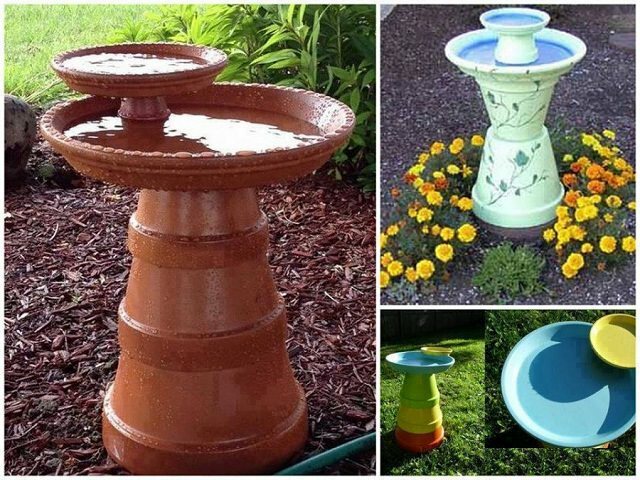 These 16 sparkling clay pot ideas for the garden will add a charm to your garden and home. 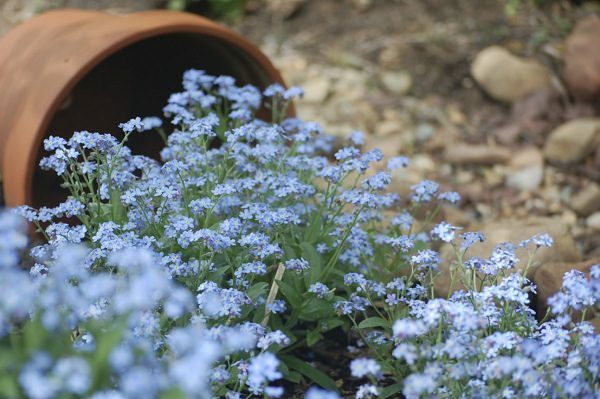 Besides planting, you have no idea that clay pots can be so useful. 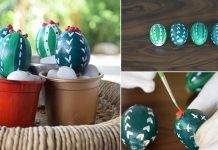 See these clay pot ideas below to find out. 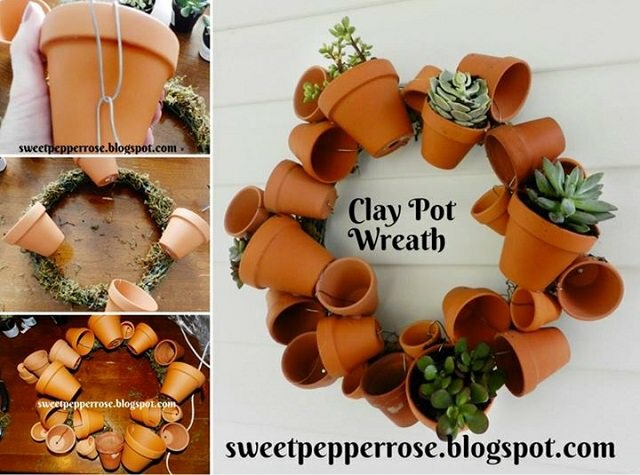 Make a clay pot wreath out of clay or terracotta pots. Follow this tutorial. 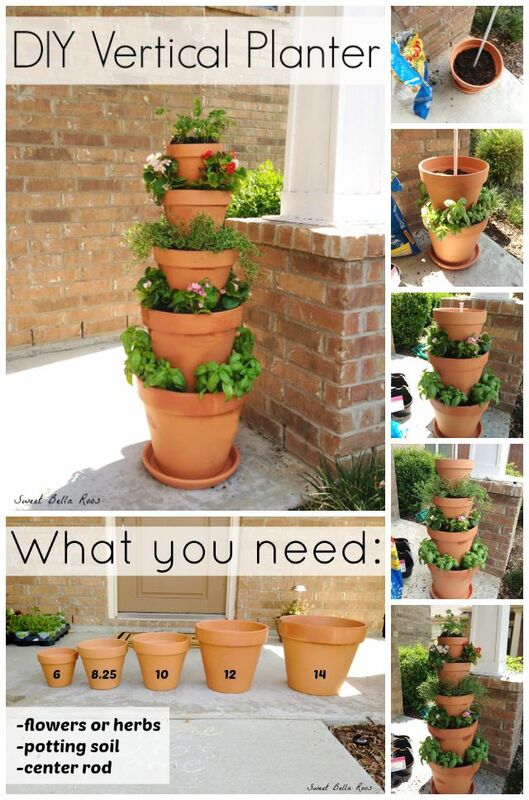 Make a cool looking stacked planter from different size pots. A step by step tutorial is available on DIY Showoff. 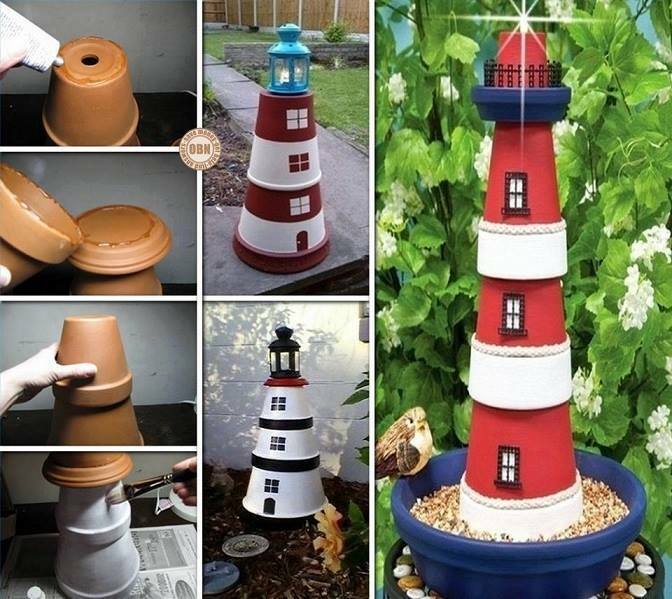 Make a clay pot lighthouse if you have a few pots that you are not using. Read the complete article on Ehow.com. Birds are adorable. Aren’t they? Make a birdbath for them. Check out the tutorial. 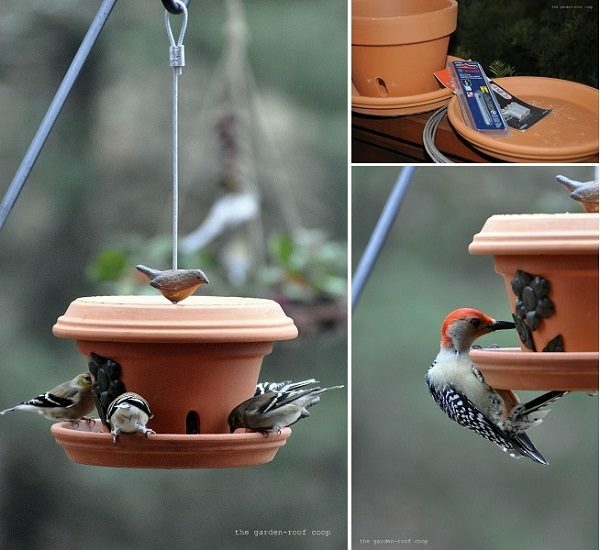 Make a bird feeder to attract and feed birds. A useful step by step DIY article is here. 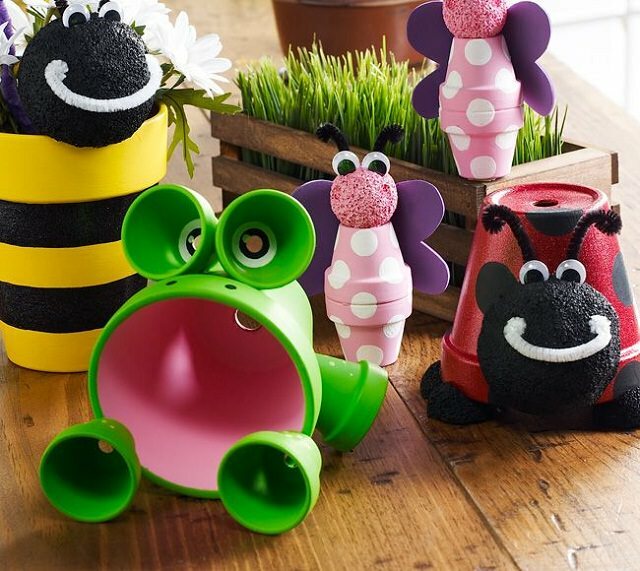 If you are good at doing DIY projects craft a family of clay pot critters. An instructive DIY lesson is here. 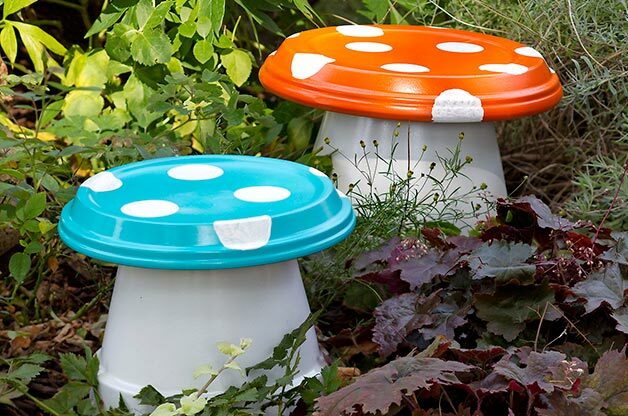 Make something unusual for your home and garden. 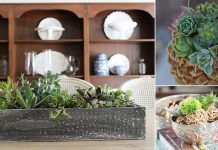 Create a potted candle planter with the help of this tutorial on Family Chic. 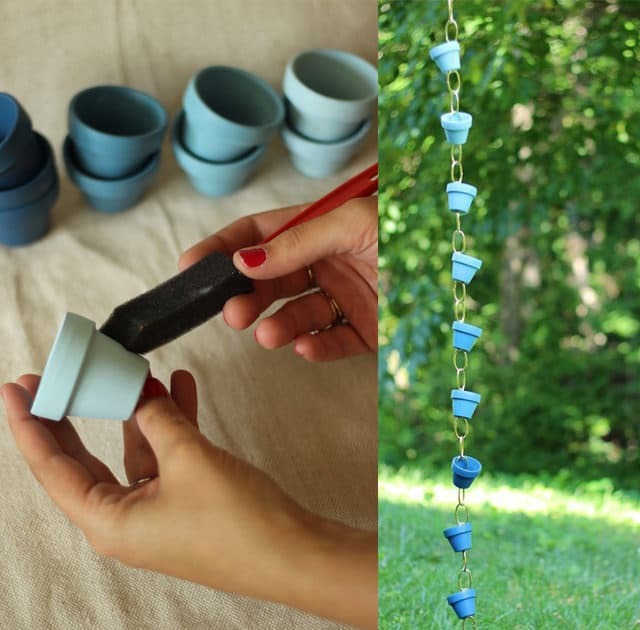 Make rain chain for your garden and home, it’ll be a good addition. A substantial post on this is given on Design Sponge. Buy a few terracotta pots and arrange them above each other. A step by step guide is here. 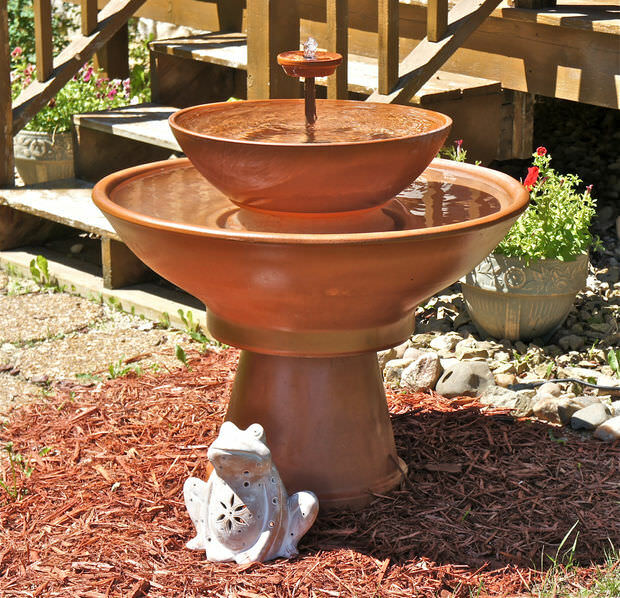 Make a substantial water fountain from terracotta pots. A step by step tutorial is available on Instructables. 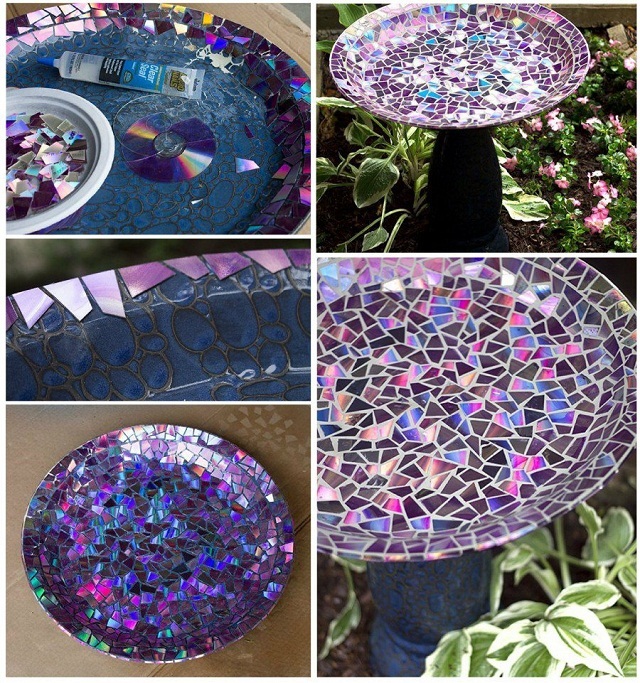 An interesting tutorial that you can read on Me and My Diy to create mosaic birdbath. All you need are some old DVDs and CDs. 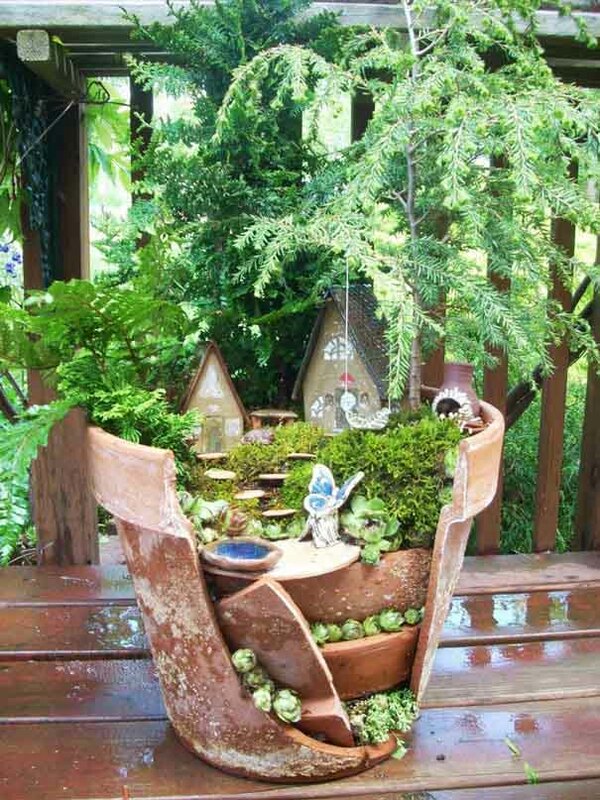 If you have a broken pot you can create an alluring fairy garden in it. 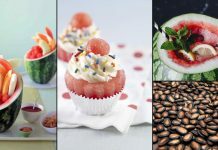 Read our post to find out how to make it. Now something bizarre. 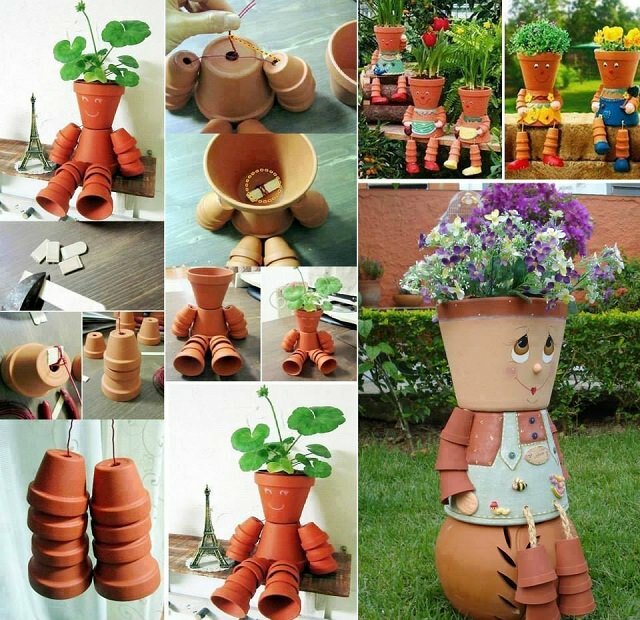 Make clay pot planter people. Click on this link to find out tutorials and inspirations. 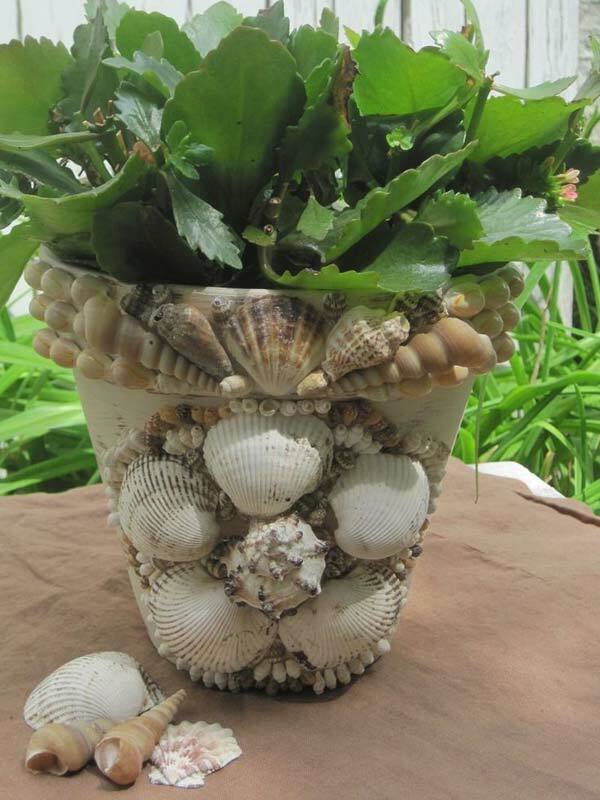 Transform an ordinary pot into something unique. Check out this DIY article. Do you have a broken pot? 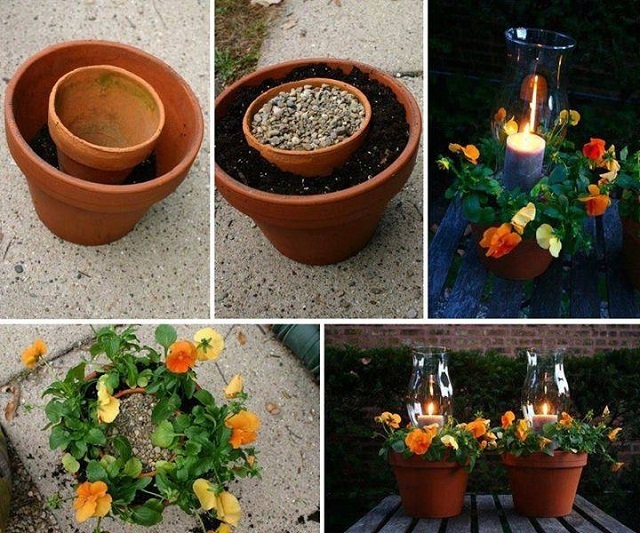 Make a spilled flower pot from it for your garden. You can see this tutorial on our site. 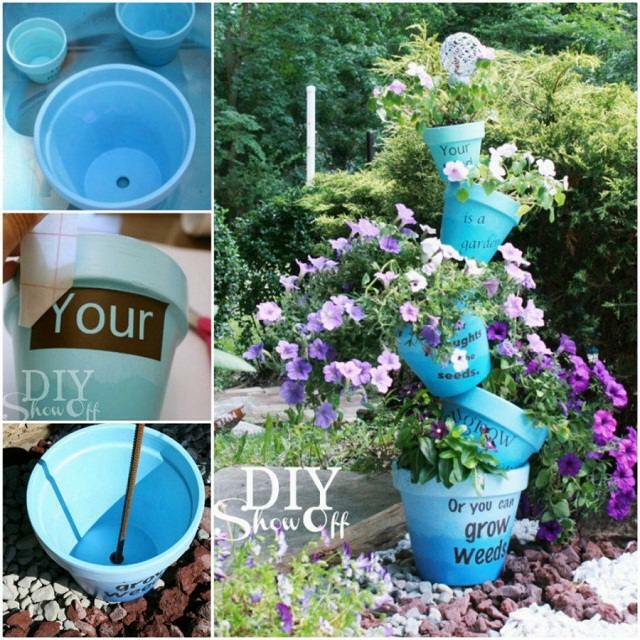 Learn how to make a spilled flower pot. Really beautiful ill try for my garden..